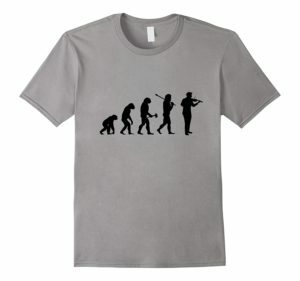 Need a gift for a favorite violin player? 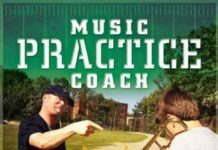 Finding the right cello gifts for them can be tough, but don’t fear! 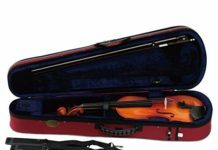 Whether you’re looking for Christmas, birthday, or just general gifts, your violinist will love the gifts below. 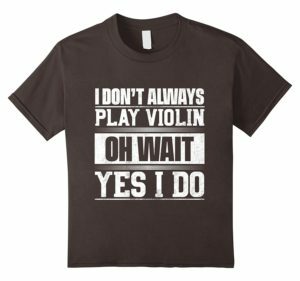 Feel free to list your favorite violinist gifts in the comments! 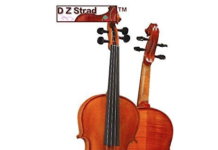 The rising cost of violin strings over the last decade has made many violinists unwilling or unable to replace their strings on a regular basis. Violinists are supposed to change their violin strings at least once a year, but many don’t due to the high cost. 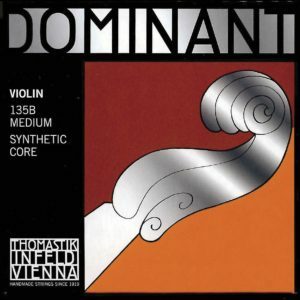 Buying your favorite violinist new strings will definitely make you their favorite relative. Highly flexible and stable pitch, these pair well with many E strings. 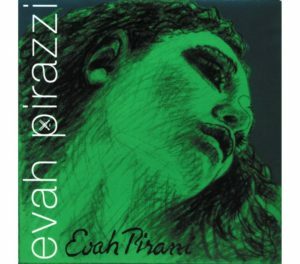 One popular combination is a Pirastro Gold E with Dominants on the A, D, and G.
Used by professionals and beginners alike, Pirazzis violin strings offer a complex and warm tone with excellent projection and dynamic responsiveness. Every violinist who has ever dreamed of being in a rock band or rock orchestra has probably always wanted an electric violin. When hooked up to an amp, electric violins sound like a violin on steroids. You can even add special effects with distortion and other pedals. 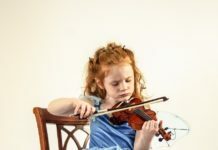 Most of the beginner electric violin outfits come with everything your violinist needs to get started so there’s no need to buy anything else. 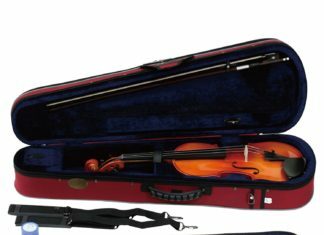 We’ve even done a review of the best electric violins for you. 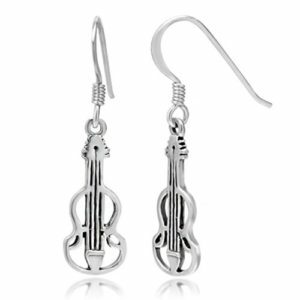 If your violinist loves jewelry, get them some violin earrings or a violin necklace. It’ll be a great way for them to show off their violin pride. Looking specifically for a Christmas present? 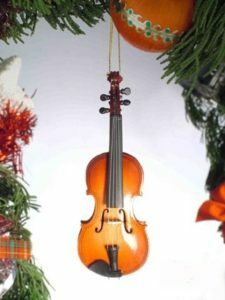 Give a gift that your violinist can hang on their Christmas tree for everyone to see. 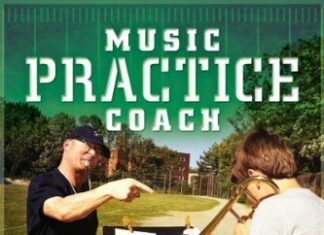 Violinists will want to show off that they play violin wherever they go. Get them one of these t-shirts and they will love wearing it around school and everywhere else they go! Make sure you buy a size that will fit your violinist. You may want to ask for their size ahead of time. 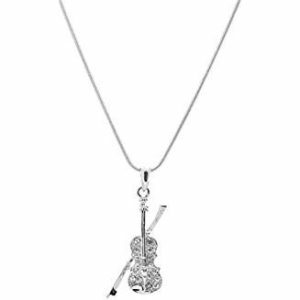 A classic gift, your violinist will love showing off their violin pride whenever they’re drinking coffee or tea. 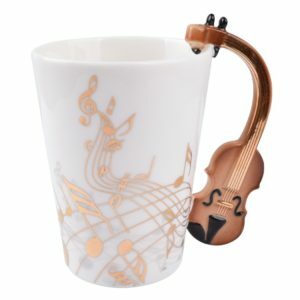 Find a mug that fits your violinist’s style. 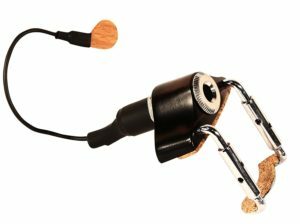 If you can’t afford an electric violin, this violin pickup will turn your acoustic violin into a violin that sounds like an electric violin. All you need is an amp. 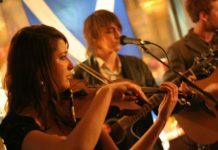 Let your violinist wow your family with an intimate rock concert. This little figurine makes a great decoration for a bookshelf or desk. 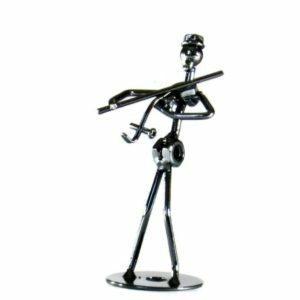 Let your violinist show off their violin pride pubically with this 5″ violinist. Lugging a violin case back and forth from school is sure to wear out the fabric and zippers over time. 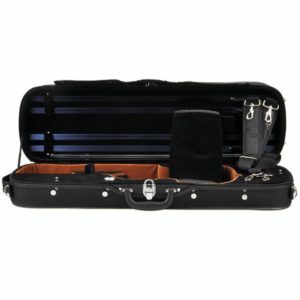 Send your favorite violinist back to school with a brand new violin case. 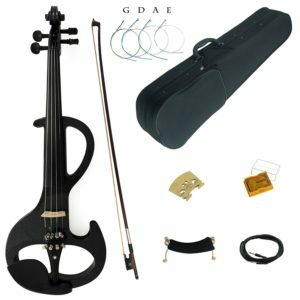 Make sure you choose one that has plenty of pockets for accessories and is the right size for their violin. Every violin player needs a tuner to make sure their instrument sounds right. 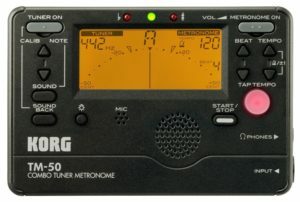 The Snark tuner will suffice for tuning a violin, but the Korg offers additional features such as a built-in metronome to make sure your violin player stays with the beat. You can read our guide on the best tuners to make sure you’re getting one that has all of the features you need.